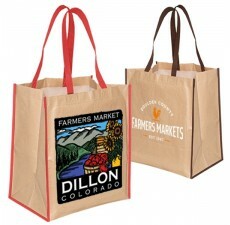 Our recycled grocery bags are made of 85% recycled post consumer plastic bottles (rPET). 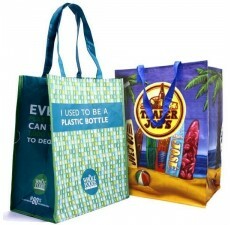 Society uses enough plastic bottles each year to wrap a ring around our planet. 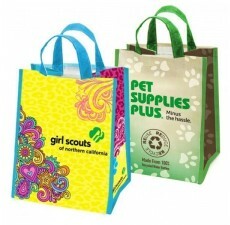 rPET is the new industry standard for 100% recycled material. 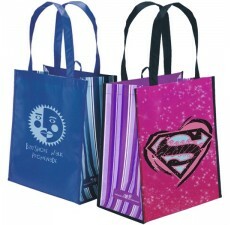 Recyclable and of course always reusable our eco-friendly recyclable bags are the best thing you can do for the environment. 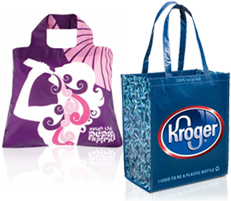 The average lifespan of our recycled bags and totes with regular use is about 2 years and then it’s back to being re-recycled! 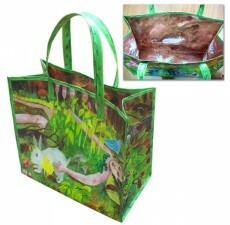 Show your complete commitment to the environment and make the custom recycled bag choice today! 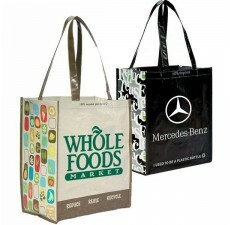 You can show your company’s commitment to going green to customers and prospects alike simply by switching from wasteful, environmentally destructive plastic bags to recycled rPET plastic totes. 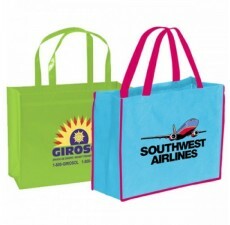 Switching to recycled reusable bags cuts costs and reduces waste, boosting your bottom-line profit. 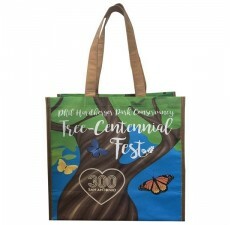 Additionally, you can also demonstrate your company is an environmentally responsible organization that cares for the planet, earning you the recognition and patronage of more customers. 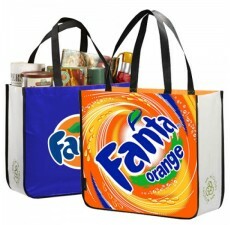 Building a green image and reducing environmental impact isn’t always an easy process, but the first step is very simple. 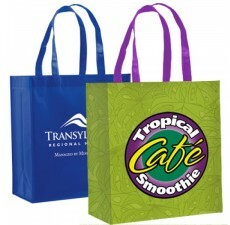 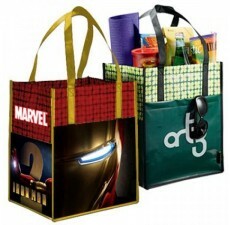 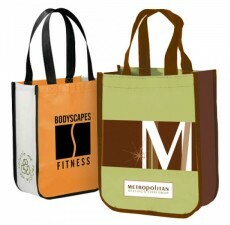 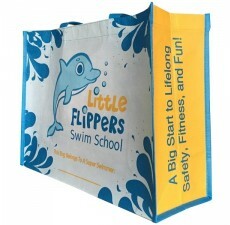 Just start distributing eco-friendly products like custom recycled reusable bags to your customers. 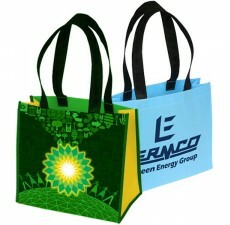 By providing a quality recycled bag, you earn the respect of your customers and encourage them to follow green practices. 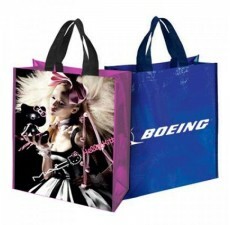 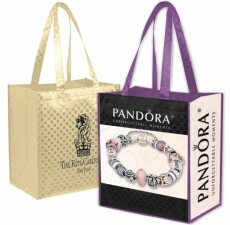 We offer a line of top-quality bags customized to your individual needs. Why wait to make a difference? 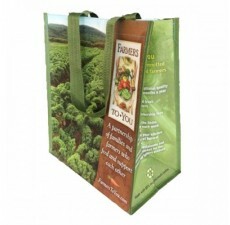 Contact Custom Grocery Bags and start your company's green initiative today!